Senator Cassano, Representative McCarthy-Vahey, Senator Champagne, Representative Zawistowski, and members of the Committee, thank you for the opportunity to offer testimony on HB 7319, An Act Concerning the Fiscal Independence of School Districts. 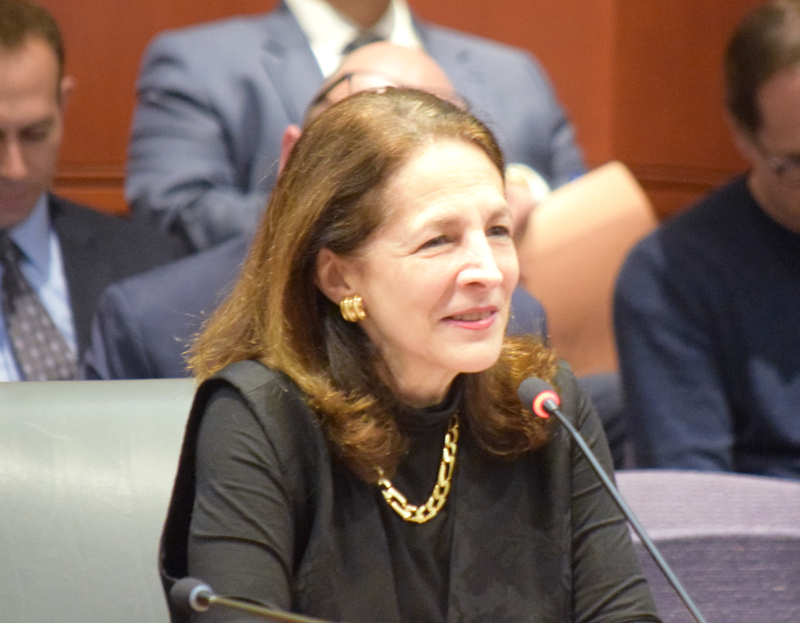 Under this bill, every school district in Connecticut, whether single-town or regional, with 15,000 or fewer students would become an independent taxing district, with the powers of assessing, levying, and collecting taxes, borrowing money, and appropriating funds. Correspondingly, it would withdraw from municipalities the ability to exercise these same powers for the purpose of providing educational services. By what mechanism would district residents have input into the tax rate? Who would provide oversight of the rate-setting process, as towns do now? What would happen to the current Education Cost Sharing Formula (ECS), which the state uses to calculate the amount of funds it provides to districts to help them ensure an appropriate quality of education to all residents? Currently, those funds are mostly provided to towns and then passed on to school districts. Multiple towns are currently responsible for school districts’ capital budgets, and bonding decisions are often made through municipal referenda. Would referenda on bond issuance still be possible, and what entity would organize them? Would the new school taxing districts have their own bond ratings, and on what basis would the rating agencies set them? Would they be able to obtain rates as low as those of towns? How many more people would have to be hired to administer these regional and local districts? Who hires them? Who decides how much they earn and how their benefits are calculated? How much would this extra staff require taxes to be raised in each district? I oppose this bill for a number of reasons. In Connecticut, our forms of town government have traditionally fostered a distinctive, intimate relationship for residents with the finances of their school districts. This relationship has heightened the focus of our communities on the quality of education their schools provide and has attracted many residents from other states. While independent educational taxing districts exist in other states, in Connecticut this legislation would greatly diminish the role that residents now play, and greatly appreciate, in the oversight, determination, and allocation of funding of their local schools. Because the proposed separation of powers would prevent municipal governments from performing their current functions on behalf of school districts, this legislation would require the creation of new layers of administration that would increase local property taxes and raise costs, at a time when budgets at all levels of government are very fragile. The focus of Boards of Education is, and should be, on ensuring that students have the best opportunities to learn. Currently, Boards of Finance and other municipal government entities are responsible for the financial health of their communities and provide fiscal oversight of their school districts, acting as stewards of taxpayer funds overall. This arrangement provides a local system of checks and balances that would be eliminated by HB 7319. The bill would also require Boards of Education to dilute their focus on teaching and learning. It is also ironic that this bill, which reduces the ability of residents and municipalities to influence the finances of their school districts, is being introduced at the same time as Governor’s Bill HB 7150 that would make municipalities responsible for paying a portion of the state’s annual contribution to the teachers’ pension plan. Already, towns have no role in developing or negotiating the terms of this plan, and under HB 7319, they would lose even the ability they currently have to provide input into salary negotiations. Student outcomes should always be our primary concern in matters related to education. There is no mention in the bill of any potential favorable impact on the quality of education. Nor is there a mention of any problem it is intended to solve. There seems to be no reason for this legislation. I respectfully urge the Committee to reject it.